Courtesy of BHHS Nevada Properties, Don L Egbert. 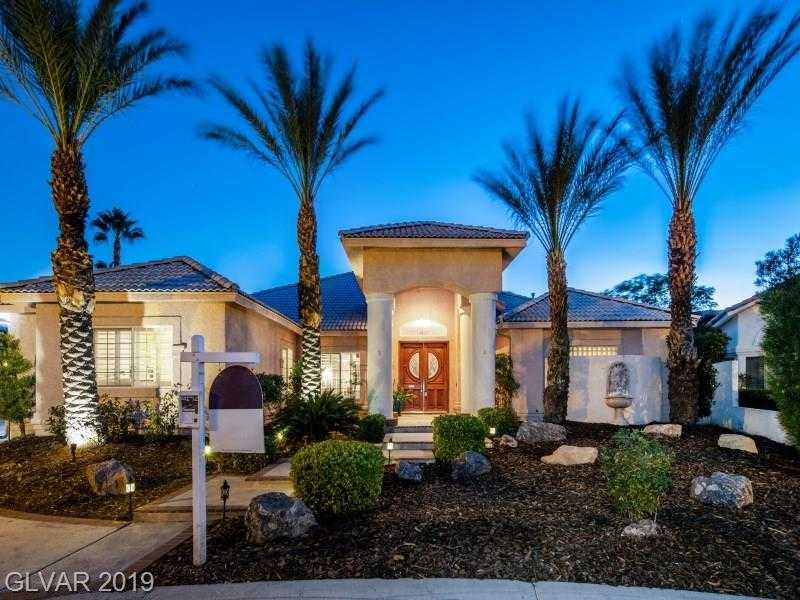 Fabulous Single Story home with a 3 Car Garage. 3 Bedrooms W/Bath plus Den/Office. Den/Office has huge Built-Ins Formal Liv/din Room plus Family Room. Master with Fireplace and Two Walk In Closets. Master Bath with Jetted Tub. Plantation Shutters. Atrium. Covered Patio. In Ground Hot Tub. Patio Table and Chairs,Fish Pond Equip, 2 Storage Sheds, BBQ, Microwave, TV’s(3) included.